Your child is expected to wear the school colours of royal blue and grey. 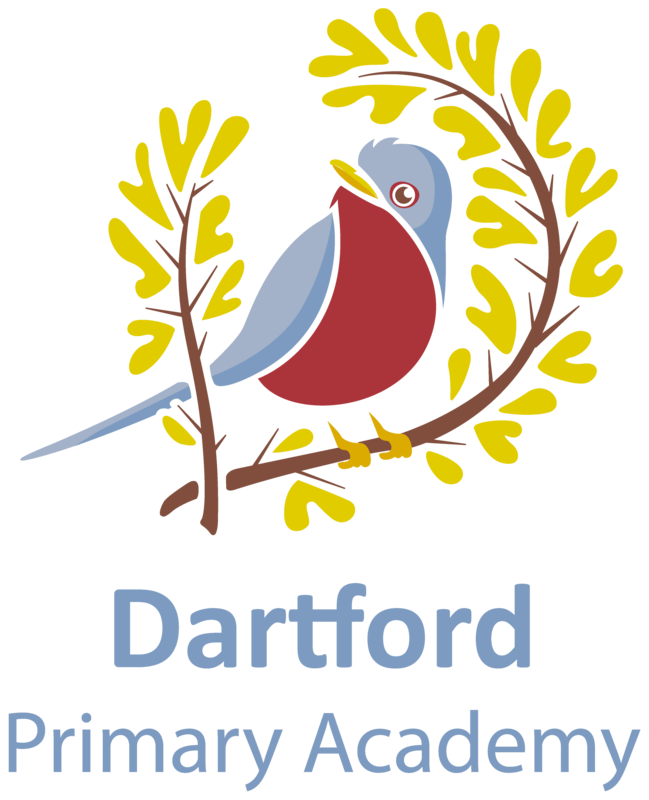 Many children wear the school sweatshirt or cardigan displaying the Dartford Primary Academy logo with grey skirts/pinafore or grey trousers. Infants may also wear dark grey jogging bottoms. In summer blue/white dresses or shorts are also worn. School sweatshirts/cardigans can be ordered directly from our suppliers Brigade at www.brigade.uk.com. Alternatively, there is a supply of smaller sizes in stock at the infant site which can be purchased at the office. Sensible flat shoes, (not trainers) should be worn for safety. No open toe shoes or sandals are permitted for safety reasons. Please avoid lace up shoes and boots if possible as younger children find these difficult to do up. All clothing should be clearly marked with your child’s name. Items of clothing are frequently handed in as ‘lost property’ and their owners never traced because the clothing has not been marked. The school cannot be held responsible for any lost property. Each child should have the following: A tee shirt in your child’s ‘house’ colour, Navy shorts and Plimsolls (for use in outdoor games; indoor PE is done barefoot). It is essential that children have a full range of clothing for PE and that their PE kit is stored in an appropriate PE bag. Please note that the reception classes do not start PE until much later in their first year so PE kit is not necessary until the Summer Term.